Top notch mouse calls, that fit your schedule and your budget. Get Mice Out Of Your House Today. Try out our affordable and convenient mouse control service. Not only will we strategically trap and remove the rodents inside, our exclusion service keeps them outside where they belong. First off, you will be providing us with your insight- while the interior is inspected. As we walk around, areas of rodent activity are located. An exterior inspection report provides a comprehensive analysis of how mice are entering your home. Conducive environmental conditions are also detailed within the report. In order to get rid of these vermin, you have to plug up the entry holes from the outside. Therefore we provide a price quote to perform the recommended repairs. Following inspection, strategically placed mouse traps and rodenticide are utilized to remove the current indoor rodent population. 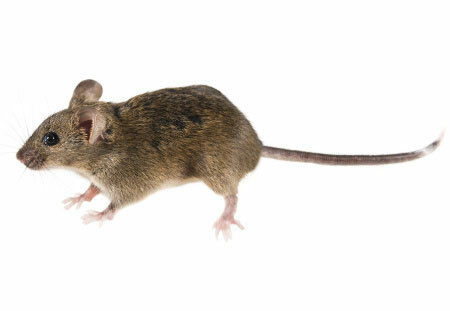 Our mouse control service can be described as “a la carte”. Our initial service is a fixed price, based on your location. You may purchase followup visits to maintain the traps and bait placed during the initial service. The focus of our service is to locate the potential entry points so no more mice can enter. Mouse-proofing is a specialty service that we provide a cost estimate during the initial service. As an additional level of protection, you may choose our ongoing exterior rodent baiting service. Tamper resistant rodent bait stations are installed around the building’s exterior perimeter. They are maintained every other month. For this service there is an initial set-up fee, and a recurring fee for each maintenance visit. Check Out What Customers Have To Say About Our Mouse Control Service! Shawn is great. From the first phone call to setting up an appointment, everything was very prompt. I was very impressed with the attention to detail Shawn took when looking for entry points of our home for mice. I would definitely recommend! I called Lakewood Exterminating to address mice in the attic. Sean and I did a thorough walk through of the entire exterior of the house and he identified and sealed several entry points (the prior owners did not maintain the home). Sean is professional and very knowledgeable. I highly recommend him to anyone! Controlling Mice Is Our #1 Service. Contact Us And Find Out Why. Schedule Your Rodent Removal Today! There are 3 species of mice that we deal with in Cleveland, OH. The house mouse, deer mouse, and the white-footed mouse. When dealing with a pest of any nature, it is important to learn exactly what you are dealing with. Take some time to identify your critters, and learn about their habits. Since mice are territorial, they rarely travel more than 30 feet from their nests. Keep in mind this range extends vertically- not just outward. If there is food around, sometimes they do not travel further than a few feet. As you can see, a mouse can travel up into your kitchen from the basement, down from an attic, or out from under the refrigerator. Additionally they travel their entire territory daily, while using the same route. As they dart around, they explore new objects and changes made within the area. Due to this fact, it is beneficial to move around objects before placing traps. Although these are tiny rodents, they are capable of far more than scurrying about the ground and eating fallen crumbs. The most agile mice can jump onto a flat surface 12 inches high- without a running start. That is pretty impressive. In order to climb, all they need is a little texture to grab onto. They can run up nearly any vertical surface; wood, brick, pipes and cables. If they need to, they can jump down 8 feet without injuring themselves. Since they can squeeze through openings larger than a 0.25 inches diameter, there is not much these vermin cannot gain access too. Not only do mice damage homes with contamination and gnawing electric wires. As light as they are, it has been studied that mice cause significant damage by trampling attic insulation. It only takes 6 months for house mice to reduce the effectiveness of fiberglass insulation by 50%! It takes more than setting mouse traps and laying down poison to control a mouse population. Being successful long term also includes: habitat modification, sanitation, exclusion, monitoring. 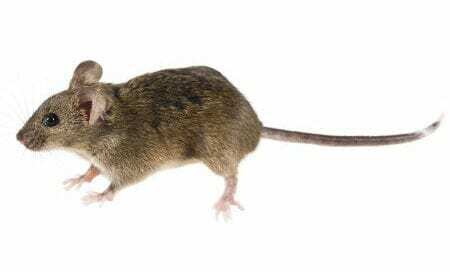 If you manipulate the conducive environmental conditions that are allowing these varmints to survive, you’ll reduce the amount of mice around. You can reduce the attractiveness of your home by creating a 3 foot wide barrier around the exterior perimeter. Mice do not like to travel over open ground. By placing a band of crushed stone at a depth of 3 inches, you will reduce the amount of mice inside your home. Many homes have groundcover planted in the beds around the home. Pachysandra, English ivy and myrtle are common examples. In our experience, mouse populations instantly drop when customers have removed this type of vegetation. Additionally shrubs and tree branches should be pruned back from the structure. Rodents and even ants will use branches to gain access to roof-lines. Any other stored items should be removed, moved or replaced frequently so they do not become homes for mice. Take a look around your property. Piles of wood, bales of straw, and other yard debris provide easy shelter for rodents. What is inside of your garage? Most garages are accessible to mice. Once inside they can find a safe place inside your stored belongings. Think about using plastic totes instead of boxes for all of your storage needs. Reduce clutter inside and out. Try to store items at least 1 foot away from walls, and at least 8 inches off the ground. Since mice can survive on such little food, sanitation alone will never totally get rid of your mice. Yet at the same time, mice reproduce so rapidly that a lack of sanitation can cause all of your other efforts to fail. It is a fact that the majority of mouse removal jobs we get called out to have an abundance of available food outside. The most common food source being acorns. If this is an issue in your yard, it might be time to invest in a high powered leaf blower. The other major food source comes from bird feeders. You can download an article on “how to modify bird feeders” by clicking the link. Unless you have an iron clad home, it is not recommended that you put out bird seed or any feed wildlife. Mice eat seeds more than anything. You may have found this out if you have ever left a bag of grass seed in your garage. On top of that, don’t leave pet food out either. Pet food is a great food for rodents- inside and out. I can’t tell you how many times that customers have reported finding dog food in their shoes. Crumbs are one thing- especially if you have young children. Just don’t make it easy for the mice. As stated above, these critters can reproduce rapidly. If you lay out a smorgasbord for them, you are going to have it rough. 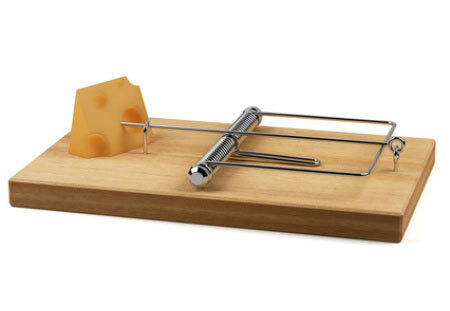 The problem with just setting mouse traps yourself is that neighboring rodents filter in to fill the space vacated by your trapping efforts. Likewise if you miss trapping one pregnant female, re-population occurs pretty quickly. For example, if you trap an alpha male in a trap and reset it, other males will be attracted by the scent. As a result you’ll keep catching male mice. The girls will ignore the traps. As a result you keep catching sporadic amounts of male mice- without eradicating the infestation. Trapping without habitat modification, sanitation and exclusion creates an endless cycle and a lifetime battle. Scent is the main way rodents communicate. At first, varmints will find an opening by sensing escaping heat. A pheromone trail is left behind telling other rodents that there is food and shelter inside the opening. Even if you remove the mice that enter, the scent trail keeps attracting more to the area. These pheromones persist for quite a while. Therefore it is extremely important to have a professional exterminator locate entry points and properly repair the area(s). It is well worth the investment to have a pest control company perform the exclusion work. Our technicians are experienced and supplied with the tools to do the job right. Our knowledge of the local architecture allows us to quickly locate the problem areas of your home. Recently we made a video compiling 3 years of mouse entry point pictures. Take a look at our page on rodent-proofing for more information.